The Packers are elated that a couple surprises took place in the top 10, allowing Fitzpatrick to fall slightly. Fitzpatrick is a unique, top 5 talent in this year’s draft but needs dictate the board. The draft will be top QB heavy and a couple teams will surprise and go a different direction. One of those teams will be the hated Chicago Bears, who I have taking the linebacker from Boise State, Leighton Vander Esch. Fitzpatrick is a hybrid player which also allows him to drop a little and fall into the Packers’ proverbial laps. Many teams shy away from players who lack a definitive role, although that may be starting to trend the other direction. Fitzpatrick is athletic enough to cover the slot, play linebacker in run support and blitz off the edge with the best of them. Certain players just have a knack for being around the football. We, as Packer fans, had the luxury of watching one such player in Charles Woodson. Minkah Fitzpatrick has that type of ability! Watch him come into Pettine’s defense day 1 as a starter and solid contributor. Most rookies need the game to slow down for them and it typically does in year 2 and 3 but with Fitzpatrick, I believe he’ll make significant contributions right away and will be in line for the Defensive Rookie of the Year. The draft starts at out right this year for the Packers getting one of the best defensive players because it falls in line with a position of need as well. We all can acknowledge that our secondary needs help and Minkah brings that in spades. Get the #29 jersey order ready because he could very well be the Packers best defender within 3 years, and that’s saying something because, although they haven’t shown it as a collective unit, this defense is not void of talent. Fitzpatrick only adds to the defense and comes at a team when the direction has changed. Pettine will bring a multiple-front, aggressive and attacking defense that will make Fitzpatrick feel like he’s still playing for Sabin. He’ll be allowed to roam the field and keep his nose close to the football where he’s best suited. In a few short weeks, his name will be called as the next big thing to show up in Green Bay. Yes, folks. Minkah Fitzpatrick is coming. He’s coming to make a difference and that he will. Josh Jones, Ha Ha Clinton-Dix, Tramon Williams, and now Minkah Fitzpatrick. Yes, the future looks bright again for the Packers defense. McCarthy said he no longer wants the defense to be the little step-child of the team and Fitzpatrick is an excellent start. I look at Fitzpatrick as a “new and improved” Honey Badger 2.0. Christmas comes early for Mike Pettine because he may have the best defensive player in this year’s draft fall right into his lap for the upcoming season. 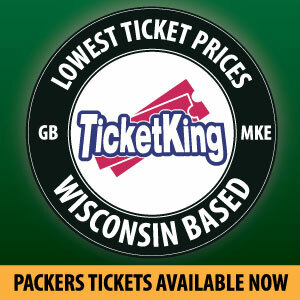 Embrace change Packers fans. Embrace having a young Charles Woodson-esque player in the secondary making plays on the ball, not just after the ball has been caught. This pick is going to be the kickstart to something great. Watch this Packers defense come out hungry, fast and motivated. 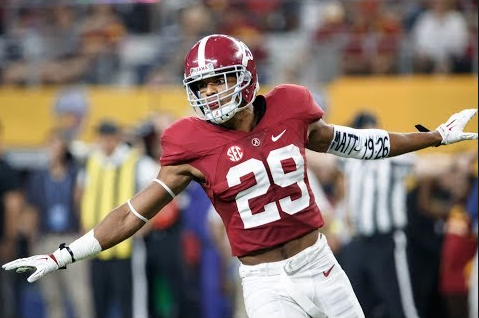 Minkah Fitzpatrick will bring the ‘bama nasty with him to Lambeau. It’s going to be fun to watch. As always, Go Pack Go! This entry was posted in Uncategorized and tagged 2018 NFL Draft, green bay, Minkah Fitzpatrick, Packers. Bookmark the permalink.